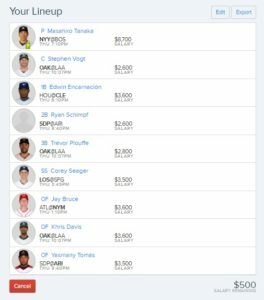 Fantasy Leagues - Page 344 of 431 - Home of free fantasy sports lineups! I like Jake Arrieta to have a solid start against the Red Sox tonight. My value pick is Michael Conforto, who has started off great this year at the plate. My sleeper pick is Elvis Andrus. *picks made on this site are for entertainment only. 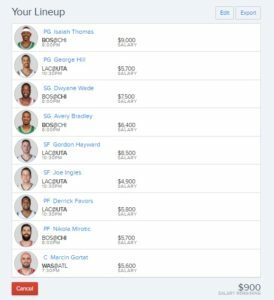 Play Fantasy Basketball Today! Use Promo Code “FLINFO”. Isaiah Thomas is in line for a great night and will be well worth the salary. I also like George Hill to come through with a big night as well. 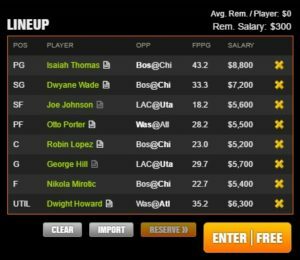 My value pick is Joe Johnson, his offense in short spurts will be a great value play. My sleeper pick is Dwight Howard, this big man has something to prove and will have a great night. I like Isaiah Thomas to have another strong game and George Hill will also be a great option at guard. My value pick is Joe Ingles, he should put up great numbers and even may get more minutes than expected. My sleeper pick is Marcin Gortat, he is a gamer and will show up when it counts. 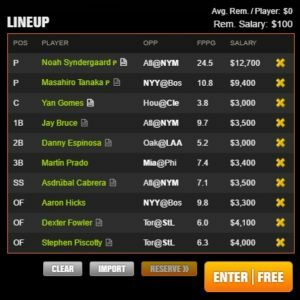 I like Noah Syndergaard once again today (he was a late scratch yesterday). I also like Masahiro Tanaka as my other starting pitcher. My value play is Jay Bruce, he continues to have a solid bat. My sleeper pick is Aaron Hicks. I like Masahiro Tanaka to have a quality start against the Red Sox tonight. 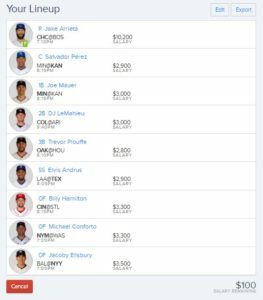 My value pick is Corey Seager and he has a good match up against the Giants. My sleeper pick is Yasmany Tomas.